Slate recently ran this article, explaining to people what the little arrow on the gas gauge means. I was pretty surprised to find that the author only found one out of ten people he asked knew what it was for. Maybe I'm jaded by the Jalopnik readership. And maybe I'm surprised the answer, "it shows what side the gas filler is on", which normally could be comfortably printed on a fortune cookie slip, took the writer ten paragraphs to adequately explain. Maybe I'm the jerk here. Still, I'm a curious jerk, so I programmed Gawker's crack team of hackerbots to go into the Slate servers and grab me some screenshots of upcoming articles in this series. 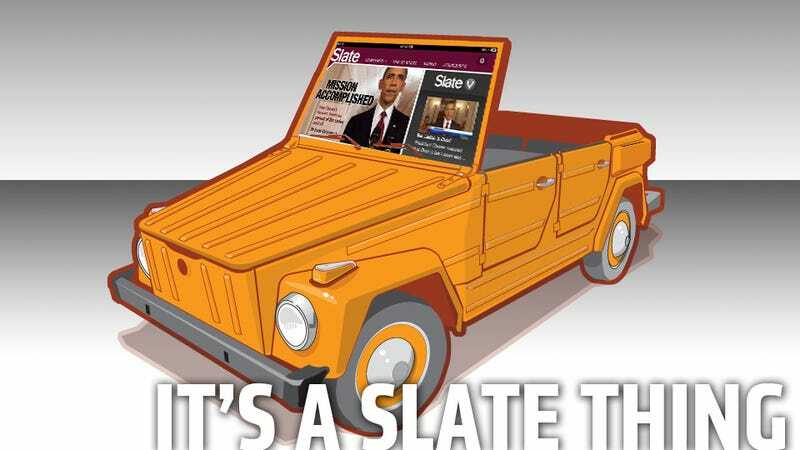 What I found speaks volumes about the Slate audience and cars. Enjoy.